The SKITZO Flight Controller Powered by FlightOne is the most advanced, performance driven, flight controller ever designed. The SKITZO Flight Controller was created in collaboration with and named after the flow master himself SKITZO FPV. Capable of running 32kHz gyro sample rate, PID loop, motor loop and processing all calculations in real time. 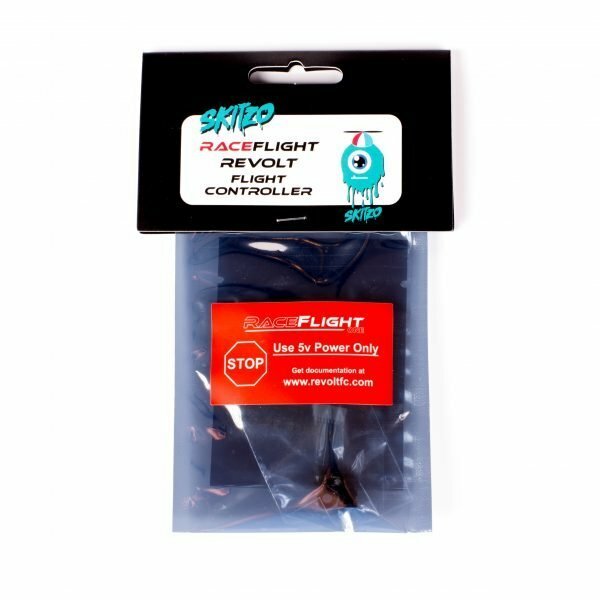 The SKITZO FC is powered by the same hardware as the new FlightOne Revolt which has incredible performance. 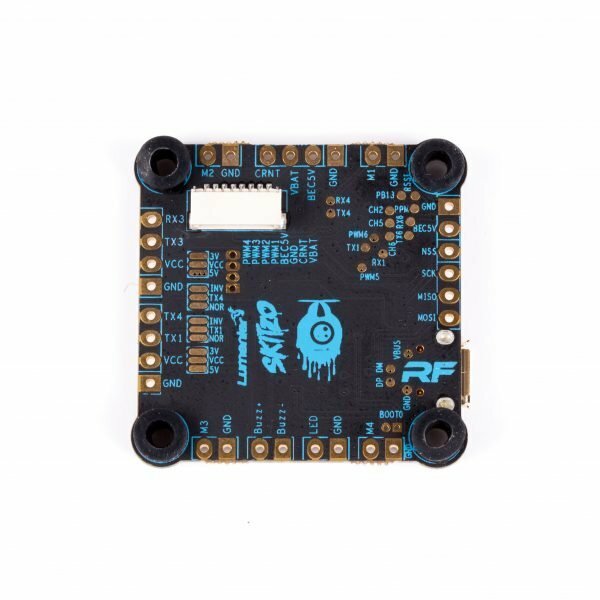 The SKITZO Flight Controller uses a F405 MPU and a Invensense 20602 gyro in combination with FlightOne software to give you the BEST performance possible. This gyro is by far the most noise free and accurate gyro available. 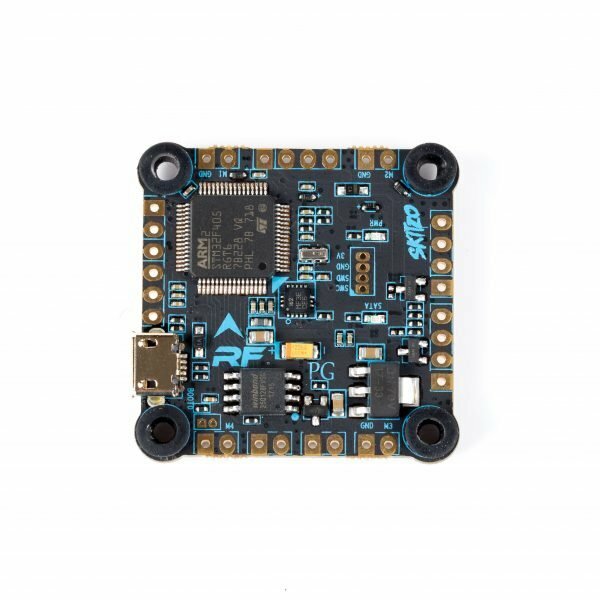 The SKITZO Flight Controller Powered by FlightOne presents not only the BEST performance, but also the most STABLE performance due to the amazing vibration rejection technology implemented in FlightOne. The filters allow your quad to stay in the air no matter what! Damaged propellers caused by that insane gate clip on turn 3? Not a problem. You can still finish the race! For most people tuning is not even required. Our boards come preloaded with software and defaults that should fly amazing for 99% of people. 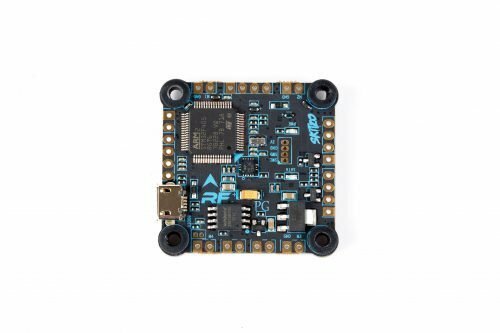 FlightOne is also available in alpha format. Just join the discord channel by going to flightone.com/discord. This is truly amazing software, which flies so well you can completely eliminate prop wash. Setup is a breeze as well, just run a couple wizards and you will get right up into the air. Setting up the SKITZO Flight Controller is easy. The solder pin layout is easy to read with motor connections in each corner. Just solder the closest motors and remember the order 1, 2, 3, 4. Select your voltage on the bottom, as well as inverted or not. The SKITZO FC also features DFU free updating and a self-healing and updating bootloader, just in case something does go wrong. 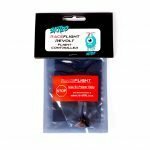 In addition to all the other amazing things the FlightOne SKITZO Flight Controller presents, Revolters get access to FlightOne’s ticketed tech support which will include step-by-step help with installation, tuning, and anything else that may arise with your FC. FlightOne has one of the best support systems and communities in the industry.